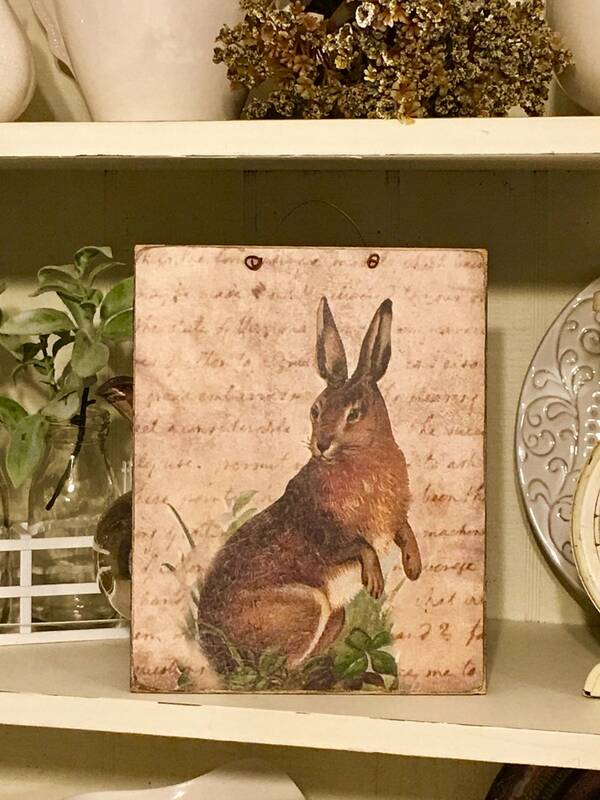 This sign is the perfect size to tuck into a primitive, rustic style farmhouse cabinet or it can hang with attached wire hanger...or just prop it up on a shelf! The rabbit image was created using heavy cardstock and then is adhered to a piece of 1/4" wood. The sides and back of the sign are finished in black. Ready to hang with an attached wire hanger. When placing an order you also have the option of not attaching the wire. Handmade by Daisy Patch Primitives. Please allow 5-10 days for delivery.